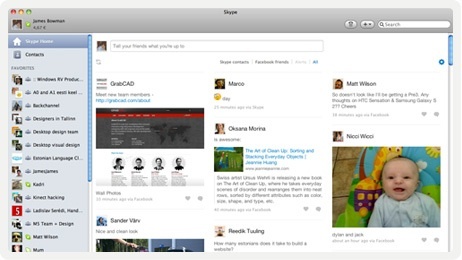 After launching the latest version of Skype for Windows computers, also released an update sykpe contributed 5.4 for Mac Beta. This latest version provides facilities to its users to be able to chat via skype facebook. There is the option to connect skype with facebook chat facility that appears when the application starts up. In addition, this application also allows users to update the status or view the status of friends. However, Skype users still seems to be waiting patiently. Because until now they have not announced when Skype 5.4 beta version will be launched.